Ocean waves are caused by wind blowing over the waters surface. They can travel thousands of miles and range in size from tiny wavelets to over 100 feet tall. Waves caused directly by the local wind are called wind waves. Wind waves are short, choppy, and tend to break (white cap) when winds reach approximately 17 miles per hour. Waves that travel outside of the area they were created, and are no longer the result of the local wind, are called ‘swell’. Compared to wind waves, swell are longer waves with smoother crests. 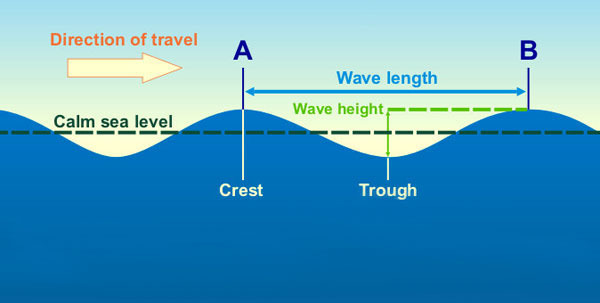 Wave height is the measurement representing the size of the wave. Waves have two main parts. The wave crest is the top part of the wave and what people commonly refer to as a wave. The second half of the wave is the trough, the low point that comes in between two wave crests. A series of wave crests and wave troughs of different heights, frequencies, and directions is referred to as the wave spectrum.The wave height is the vertical distance between the wave trough and the wave crest. There are several different ways wave height is reported. When RECON reports Wave Height - Max it is referring to the largest wave in the wave spectrum the occurred during the sampling period. 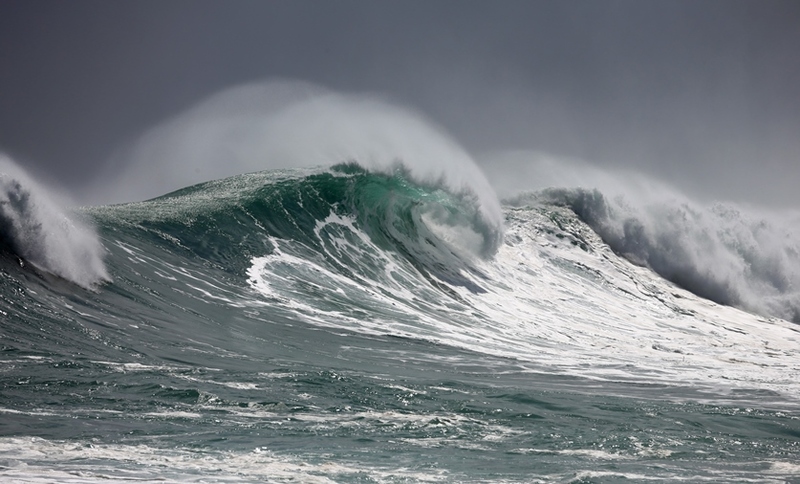 Wave Height - Max is typically 1.5 times the Significant Wave Height, but the theoretical maximum height is actually around 2x the significant height; however, rouge waves larger than that can occur.